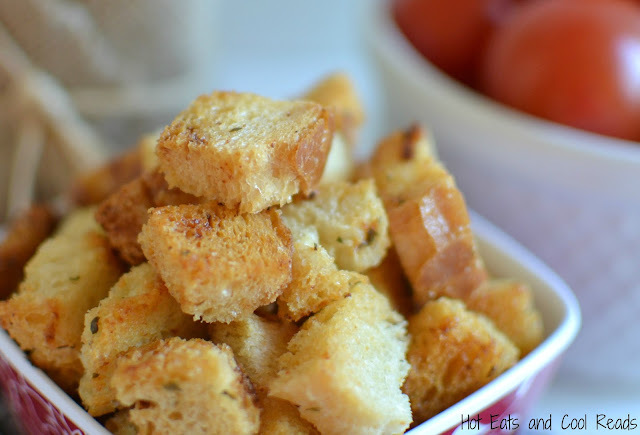 A delicious and inexpensive way to make your own croutons! Use day old bread, buns or any other bread you have on hand! 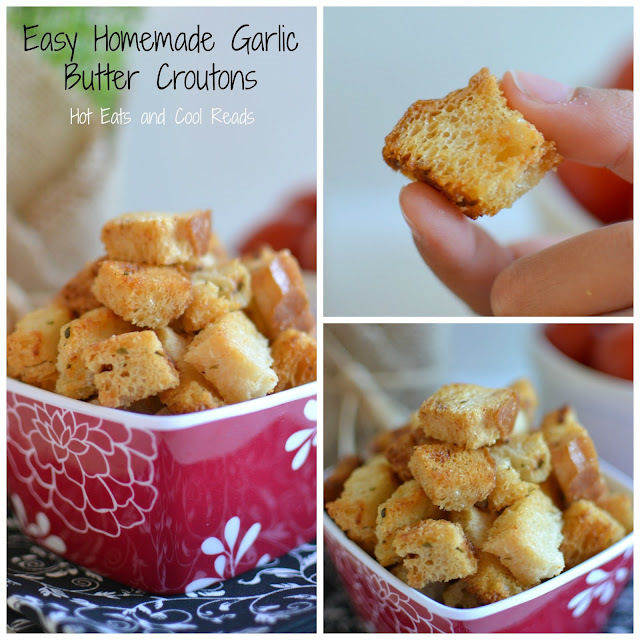 Great on salad, soup or even as a snack! How was it that I last posted on May 14th? This is very typical of spring and summer in Minnesota. We always seem to have plans and have to take advantage of the nice weather since we only have a few months of it during the summer! We spent Memorial weekend in Fargo, ND! My best friend and her family live up there and it was a great chance to visit her for the first time since she moved up there. We stayed at the lovely Home2 Suites Extended Stay Hotel for three nights and enjoyed every moment! It was also my birthday weekend, so we celebrated with a BBQ at the hotel! This weekend we are at my sister's house in Mankato, MN! My niece graduated from high school on Thursday, so we spend the weekend celebrating that, going to garage sales, cooking, playing games and watching cheesy Lifetime movies. The guys went boating and fishing, so it was defintely fun for everyone! And, next week I'm super excited to be visiting downtown Salt Lake City for the Young Living convention. 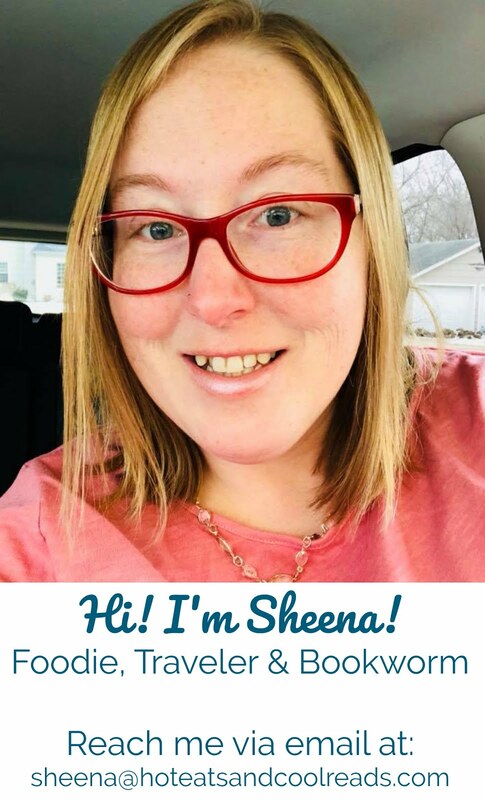 Yes, in addition to being an Americorp VISTA at a non profit and food blogger, I am also a Young Living Independent Distributor! I sure love my oils and am excited to learn how to grow that part of my business! Busy has been my middle name lately, but I love every minute of my fun and exciting life! Today's recipe is for one of my favorite snack foods.... croutons! I also love them on a salad or soup, but most often eat them as a snack. The great thing about this recipe.... it's inexpensive and a great use for close to date or after date bread. You can use pretty much any bread you have on hand, and this ensures it won't go to waste! These croutons have a wonderful garlic butter flavor. You really can't go wrong there. I know they are two of my favorite foodie things! 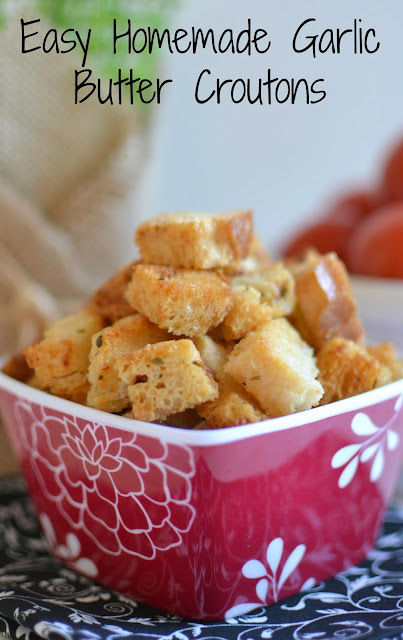 Some of the recipes I'd use these croutons for are: Cheesy Ranch Chicken Hashbrown Casserole, Rustic Dill Tomato Soup, Crab Bisque, Slow Cooker Cheddar, Broccoli and Cauliflower Soup or Creamy Zucchini and Carrot Soup! I'd also make a lettuce salad and top it with these croutons and these lovely dressings: Strawberry Balsamic Vinaigrette, Lemony Dill Vinaigrette, or Simple Balsamic Vinaigrette! So many options, along with your own salads, soups, etc! I also love to grind them in a food processor and use them as a topping for homemade macaroni and cheese! Love that extra flavor! It takes the mac and cheese to a whole new level! Pour the bread cubes into a large bowl. In a smaller bowl, combine melted butter, olive oil and all seasonings. Pour mixture over the bread cubes, and stir to combine. 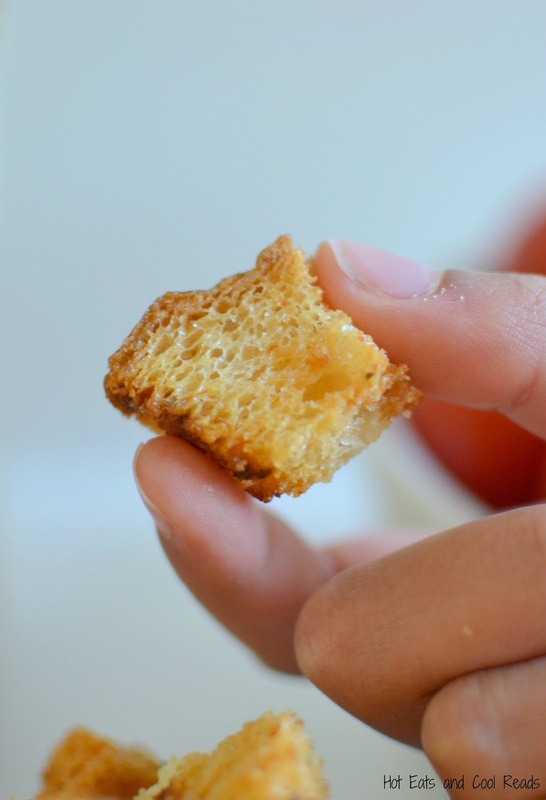 Pour bread cubes onto a baking sheet and spread evenly. Put cubes into the oven. Bake for 10 minutes and stir. Repeat every 5 minutes, until bread cubes are browned. Remove from oven and cool. Store in an airtight container for up to 3-5 days. These croutons are fabulous. Thanks for sharing this idea. Pinned and Shared. Was already thinking about trying something new for the breakfast and accidentally came across your post. Thanks for the recipe as I am now enjoying the delicious recipe.